The Vaidya family would like to invite you to the auspicious occasion of Dhanvantari Puja, and Diwali (Festival of Lights) celebration. 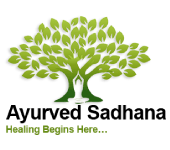 We celebrate Six years of Ayurved Sadhana Vidyalaya being of Ayurvedic Educational service and we celebrate our Students. Lord Dhanvantari is the father of medicine and health, we worship him as the God of health and wellness. We will celebrate this auspicious occasion by doing Agni Havan (Fire), Chanting (Singing) and Puja (Ceremony). Please come and enjoy delicious home-made Indian vegetarian satvic food. Also, you are welcome to bring photos or statues of your beloved gurus or mentors so that we can pay respect to them. Please RSVP by 10/31/2019 by calling registering at the link below or calling 303-530-3730 or 720-382-6488 or by email info@ayurvedsadhana.com to help better prepare. We hope to see you all on Saturday, October 26, 2019 at 12:00 p.m.